Fill a couple inches with cool water. Place in a sunny place. Change the water every couple days. Snip off scallions as needed! A couple tips--they will continue to grow and last for awhile (un-cut), but eventually they will start to fall over and/or die. They will grow back after snipping, but not as well, and sometimes they won't grow back and just die. You sort of have to see what they do. You should really only count on them growing back once. But they grow quick!!! After one day you can really see the difference! They're growing! Michael was so excited "Something green, alive, is growing!" It made him feel all happy and like there was nature in the apartment. Seriously-look how fast they grow! I recommend you try this-at the very least you get a "buy one, get one free" sort of thing with your scallions! And it's a fun way to grow stuff easily in limited space. If you have any questions let me know!! No way, really? This is too neat! 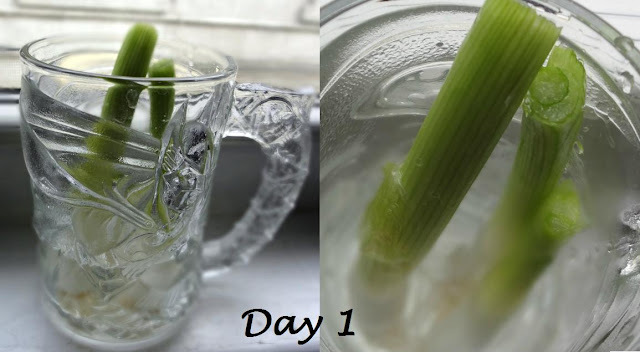 Next time I buy scallions I'll surely be trying this! Thanks for sharing. Also, I’m having a great giveaway today with four potential prize winners, so you should enter! omg i did not know you could do that...i'll definitely be doing this. thanks for sharing this!! I found this out last week and immediately put my spring onions in a glass.. and this wee we already harvested a bunch! so cool right.. i am going to plant the next ones so i can keep harvesting for longer! Thank you for passing on the award! P.S. We're both on Food Bloggers Network on FB. It is so magical to watch a plant grow! Great idea :) I gave you two awards, if you want to participate you can visit my latest post!! This is a wonderful idea. It is hard to keep fresh produce, yet, I don't like trekking to the grocery store often. 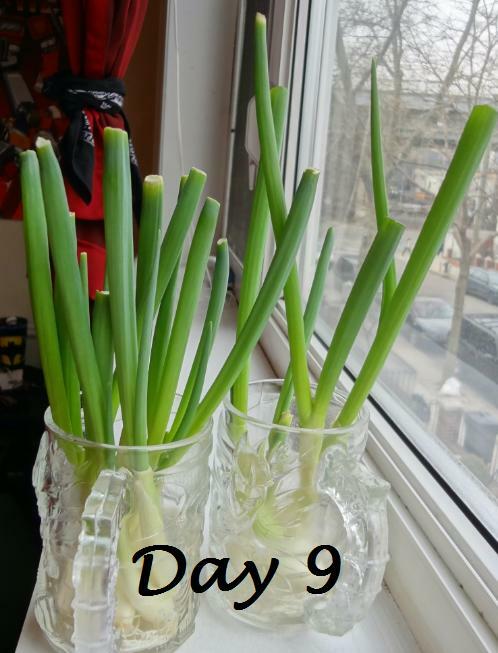 Spring onions are those things you have to buy them in bunches but only need a few. Thanks for sharing this-I definitely have benefited from stopping in today. Have a great weekend! And your captcha is still on. (Not sure if you wanted that). How cool! I do have a garden but I like growing herbs up near the house. I love scallions in almost everything and I'm definitely going to try growing these indoors! 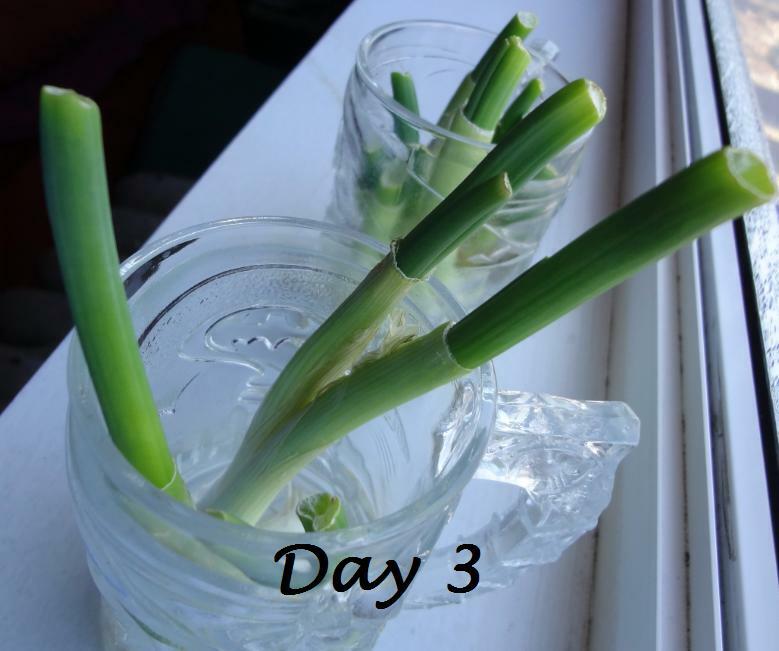 I had no idea scallions could do that! Thanks for the tip! I keep meaning to do this. I actually have some in my fridge that are on their last leg. I am going to do this today for sure! I also have been doing it with romaine lettuce and it is working. It is so neat to see it grow. I didn't know you could do this with lettuce! Do you do the exact same thing? Yes you do the same thing. Just place the stump in a shallow glass of water. I put mine in our sunroom. So far it is growing. I think it has been ~ 1 week and it has grown about an inch and a half!